The Surfrider Foundation is dedicated to the protection and enjoyment of the world's ocean, waves and beaches through a powerful activist network. For more than 30 years, the Surfrider Foundation has been protecting what you love. What started as a group of surfers that came together to protect Malibu from overdevelopment and pollution has grown into one of the most powerful coastal protection groups in the world. For every $1 donated to the Surfrider Foundation, 84 cents directly funds our programs and campaigns, 13 cents is invested to generate future donations and 3 cents is devoted to our adminstrative and operating costs. Their staff of nearly 50 people help support our chapter network in their campaigns, champion for policy and fight legal battles for our coasts, bring awareness to the issues facing our ocean, provide critical support for areas like accounting, technology, and HR, and raise money to make all of this happen. Every donation makes a difference and has a tremendous impact on our work! 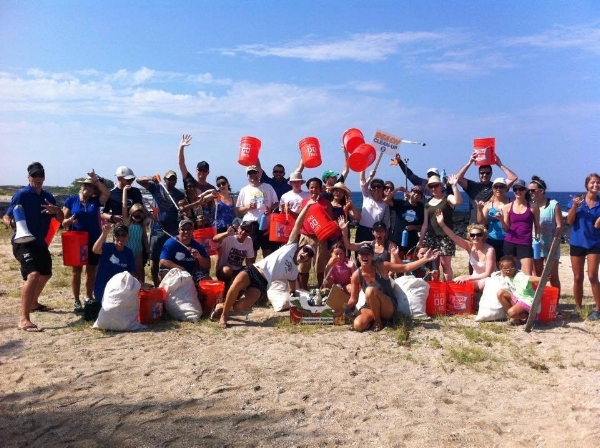 Surfrider has 80 chapters and 87 student clubs across the country. Their irreplaceable national network of chapter volunteers serves as the first response to local threats in coastal communities across the US. They are the boots on the ground who collaborate on both the local and national level with regional staff and issue experts to carry out our mission through campaign, program and educational initiatives in their local communities. Through their network of local activists and chapters, Surfrider affects change at a local level by community involvement and cooperation with local cities and governments. Their experts in every U.S. coastal region bring our chapters together when issues grow larger than a single chapter. Our dedicated team of legal, policy and environmental experts work with federal agencies to affect change at a national level. Surfrider has an appetite for adventure and we all share a common passion - we love and appreciate our ocean, waves and beaches.